I am Professor of Statistics (80%) in the Department of Applied Mathematics, Computer Science and Statistics at Ghent University (Belgium) and Professor of Statistical Methodology (20%) in the Department of Medical Statistics at the London School of Hygiene and Tropical Medicine (U.K.). Find me on Google Scholar or LinkedIn. I teach introductory courses in statistics to students in Mathematics and in Pharmacy, as well as advanced courses on Analysis of Clustered and Longitudinal Data, and on Causality and Missing Data in the advanced Master in Statistical Data Analysis. -that the survival times are typically unknown for patients who leaving hospital. In addition, I develop methods for mediation analysis (i.e., inferring direct from indirect exposure effects), for testing statistical or sufficient cause interaction between 2 exposures (e.g., gene-gene or gene-environment interaction), for instrumental variables analysis and for causal inference in outcome-dependent sampling designs. Besides the previous projects on causal inference, I develop methods for the analysis of incomplete data sets. My recent research is primarily aimed at making causal inferences less vulnerable to the weaknesses (imprecision, finite-sample bias and susceptibility to model misspecification) of simple inverse probability weighted estimators that dominate causal inference research. I aim to realise this either by improving inverse probability weighted estimation (see my work on bias-reduced double-robust estimation) or by popularising and extending alternative estimation methods, such as g-estimation, that avoid inverse weighting. My recent work focuses on the use of high-dimensional statistical methods and machine learning algorithms in causal inference. A characteristic feature of my research is the use of semi-parametric models. 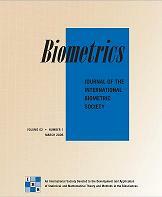 I am finishing my term as Co-Editor of Biometrics, the flagship journal of the International Biometric Society. If you wish to send correspondence regarding Biometrics, please do not send it directly to me! Instead, send it to Ms. Ann Hanhart, the Biometrics Editorial Manager, at biometrics@tibs.org. I have the pleasure of working with Oliver Dukes on adjustment for time-varying confounding and causal learning, with Josephina Argyrou on causal learning, with Wen Wei Loh on longitudinal mediation analysis, with Kelly Van Lancker on interim monitoring of clinical trials, with Thang Tat Vo on meta-analysis and with Nonhlanhla Yende-Zuma on non-adherence in HIV-prevention trials. Sylvie Goetgeluk (2008). From data clusters to causal inference: new methodology for the analysis of twin registers. Guy Baele (2008). Detecting complex substitution patterns in non-coding sequences. Manoochehr Babanezhad (2009). Measurement error and causal inference with instrumental variables. Wim Delva (2009). Sexual behavior and the spread of HIV: statistical and epidemiological modeling applications. Maarten Bekaert (2011). Do patients die from or with infection? Finding the answer through causal analysis of longitudinal intensive care unit data. Fanghong Zhang (2012). From parametric towards nonparametric mixed modeling of correlated data. Karel Vermeulen (2015). Bias-reduced Doubly Robust estimation. Machteld Varewyck (2015). On Quantifying Quality of Care. Maarten Bijlsma (2016). Age-period-cohort methodology. Confounding by birth cohort in cardiovascular pharmacoepidemiology. Karl Mertens (2016). Marginal Structural and Structural Nested Models for Causal Inference in Hospital Epidemiology. Johan Steen (2016). Flexible causal mediation analysis using natural effect models. Sjouke Vandenberghe (2017). Mediation analysis of randomised experiments. Haeike Josephy (2018). Statistical models for causal mediation in within subject designs: Deal- ing with unmeasured confounders and interactions. I am father of 2 boys, Siebe and Stan. My main hobbies are running, reading (novels) and cooking.